We’ve looked at some rough-cut text adventures and explored the world of RPGs – now it’s time to bring out the big guns: Game Maker: Studio feels a lot like the RPG Maker products, and the graphics on YoYo Games’ website reinforce that impression. However, where RPG Maker is specialized in developing RPGs, Game Maker: Studio doesn’t settle for a specific genre. You can actually build games from a wide range of genres with relative ease: Point and Click adventure games, arcades, action RPGs, platformers, and many other types are possible. What makes Game Maker: Studio so easy to learn is its drag and drop feature, which lets you build a solid game in no time at all, without coding anything. It’s the Game Maker Language (GML) for programming that sets the tool apart from RPG Maker. Based on C, it gradually teaches you how to code in other languages besides GML. This makes Game Maker: Studio a natural place to begin if you want to really get into coding. Like Twine and RPG Maker, Game Maker: Studio has an active, growing, and helpful community, which you can reach in a number of ways. 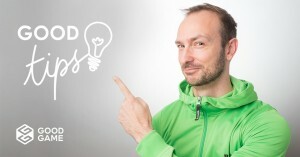 If you want to start right now, take a look at the Learn area on YoYo Games. The YoYo Games community provides a choice of tutorials for beginners and advanced users alike. Game Maker: Studio comes in several versions, which range from the free basic version to the Studio Master Collection with all the content you can buy at present. Want a taste of what you can actually do with this tool? Take a look at the tough platformer Blackhole. We hope our brief introduction to these three beginner-friendly game development tools will help you find the one that’s right for you. There are plenty more affordable programs that are similarly accessible, like Quest, V-Play, Game Salad, and Stencyl. If you think you know the basics and want to take your coding skills to the next level, take a look at Unity. 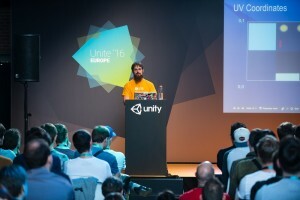 We use it to program our own games, and you can do some awesome stuff with it, as Aaron Chapin demonstrated at the Unite 2016 Europe conference. The basic version is free, too. So what’s stopping you from developing your own incredible games?